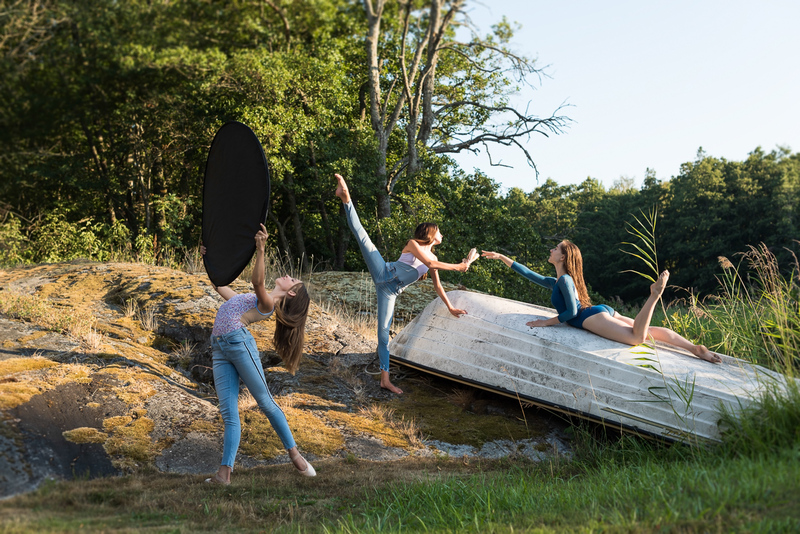 This past Friday evening I did a dance photoshoot with Minou and Elsa from Alhanko Academy of Ballet with us was also Galina from the Swedish Royal School of Ballet. The summer streak of 2018 had continued, and we had clear blue skies and temperatures that people normally travel south to experience. After experimenting with different lenses for the previous photoshoots this week I decided to bring my trusted 50 mm lens with me for this evening. Minou doing the scorpion pose. By shooting from a lower angle we eliminate distracting lines behind Minou. Elsa doing an amazing jump. At first I was trying to find a framing without the boat, but then I realised that it adds a lot of character to the picture. Minou. It is great to be a group of dancers when photographing, as they can help each other fine tune the little details in the poses. I think this was the fourth picture with small tweaks, and Minou nailed the final jump. Minou. Sneaking over to another nearby jetty. 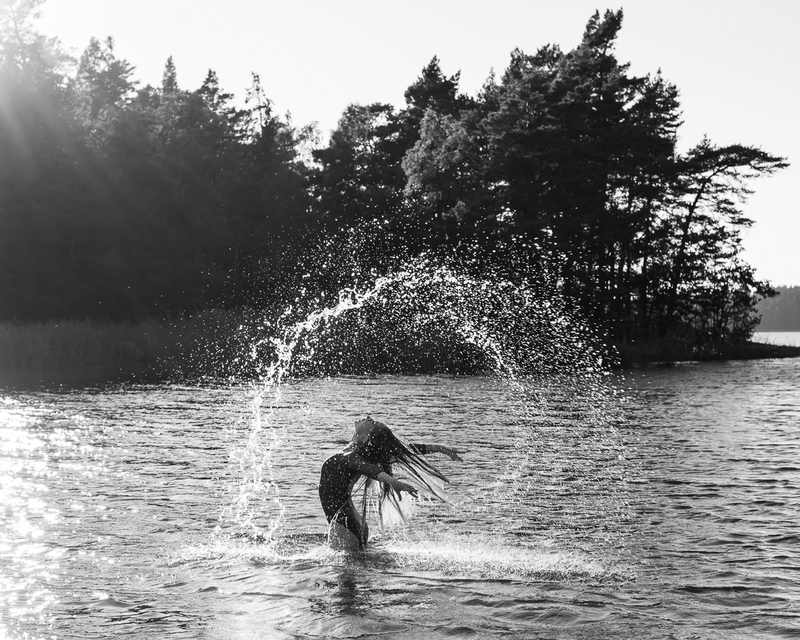 Galina had such great long hair, so we decided to do a hair toss picture in the water. Elsa, Minou and Galina. Behind the scenes photo showing how we used the reflector. Minou on pointe. The food store across the street sells these soap bubble sticks, so I did a last minute purchase and bought one. Minou and Elsa forming a heart. Here the sun is getting lower, which gives us opportunity to really play with the light. Elsa. Freezing motion with a short shutter time. Elsa doing a beautiful needle pose in the water. Elsa doing a ponche on the paddle board. We always try and make use of the local props that we can find as they add character to the photoshoot. Galina making waves with the paddle board. Minou. We had ten more minutes before it was time to head off to the bus, so we went back to the second jetty for a few more sunset photos. A big thank you to Minou, Elsa and Galina for a fun evening photoshoot in the sun! As I sit and write this on Sunday morning there is finally a very welcome light rain outside. Wow beautiful pictures and great ideas to surf ?‍♀️ Love the ideas ?? ?